After the emotional and spiritual high of last week, this one has left me a little flat. Make no mistake, we had good progress this week, including a lot of good rides and lessons and wonderful preparation for Finals tomorrow (these kids are amazing! 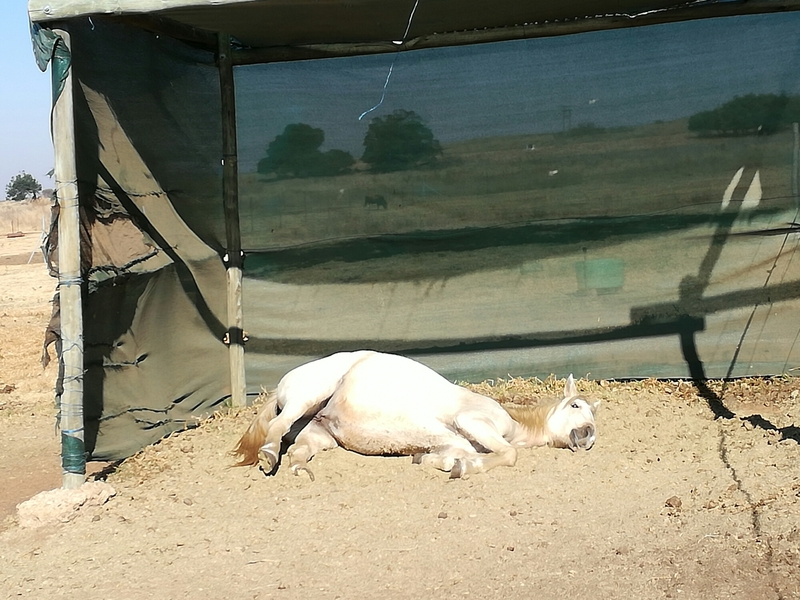 ), but I think we all felt a little rough around the edges after putting everything into pony camp. I will give absolutely everything tomorrow, too, because my kids and ponies have been doing exactly that. Vastrap and his kid were so amazing on Tuesday that yesterday I just took them on a hack. They are so more than ready for whatever Finals will throw at them. And after a bit of an unpromising lesson on Tuesday, Liana’s indomitable kid showed up to work on Thursday and gave it everything she had. Liana is hot and not always easy to keep rhythmic throughout a test but this kid absolutely nailed it. She’s going to ride her heart out at Finals because she always does. 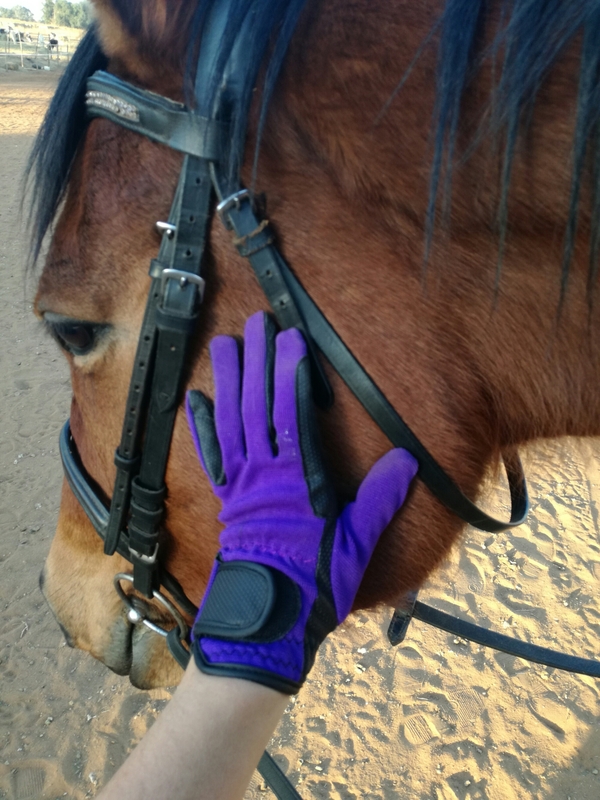 Purple gloves make me happy, and so does Savanna. She is such a sweet, nonviolent, willing soul. 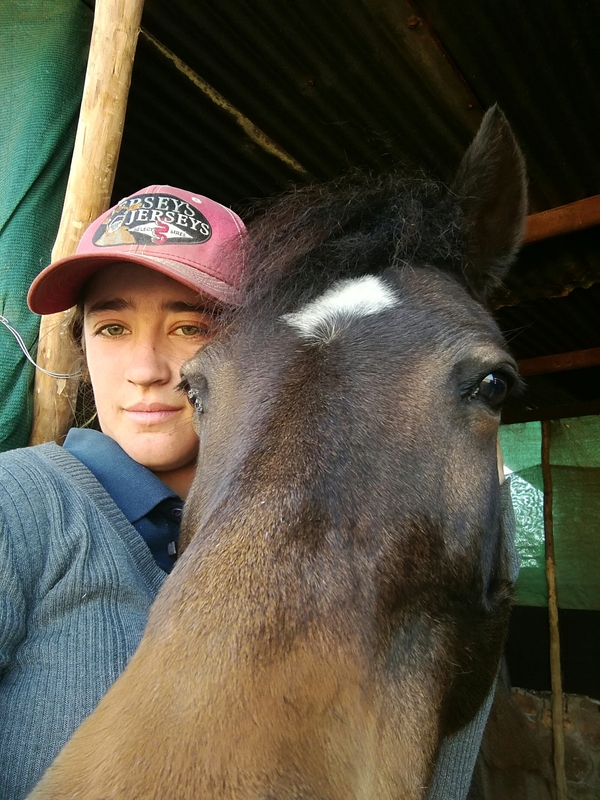 She is desperately uneducated though, and it shows, but already after two or three weeks of work she’s starting to understand that there is no need to rush fences or cut corners. We still have a long way to go in terms of developing self-carriage and any form of technique, but obedience is already improving. From next week she’s in full training and competing with me, so that’ll be fun. Champagne has been out of work for the above reason. Ah pony. Why? 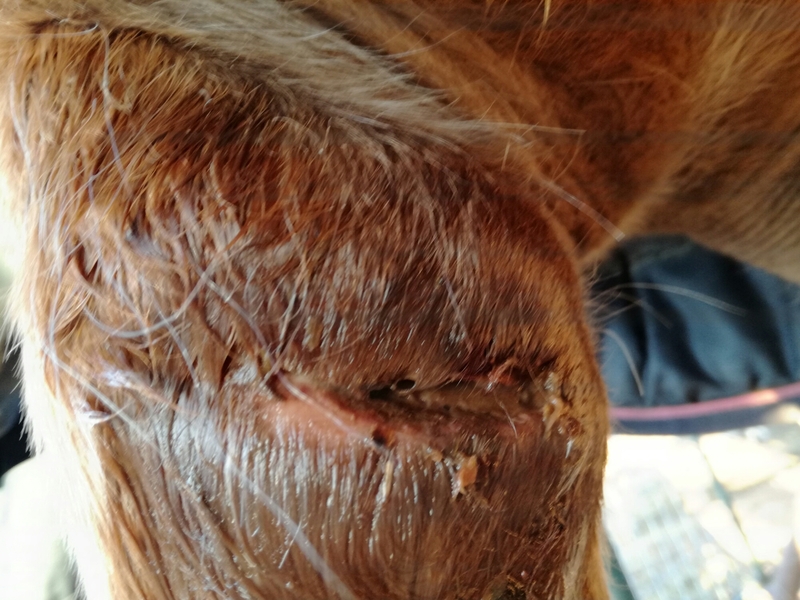 Six stitches and a week later and it’s almost healed, but it’s a pity we’ve lost that training time. Magic is better at teenage girl selfies than I am. He’s just better at selfies generally, really. Skye has a nicer winter coat than anyone. She is really contented at the moment. Looking after Lady Erin seems to be all the stimulation she really needs; the old girl is happy to stand in a peaceful field and come in to do the Scripture reading before shows and get stuffed full of cookies. Especially the cookies, if we’re honest. She doesn’t crave people, although that’s not to say we don’t both enjoy grooming (and cookie-feeding). Magic, on the other hand, is by no means ready for retirement. I had been toying with the idea a little. 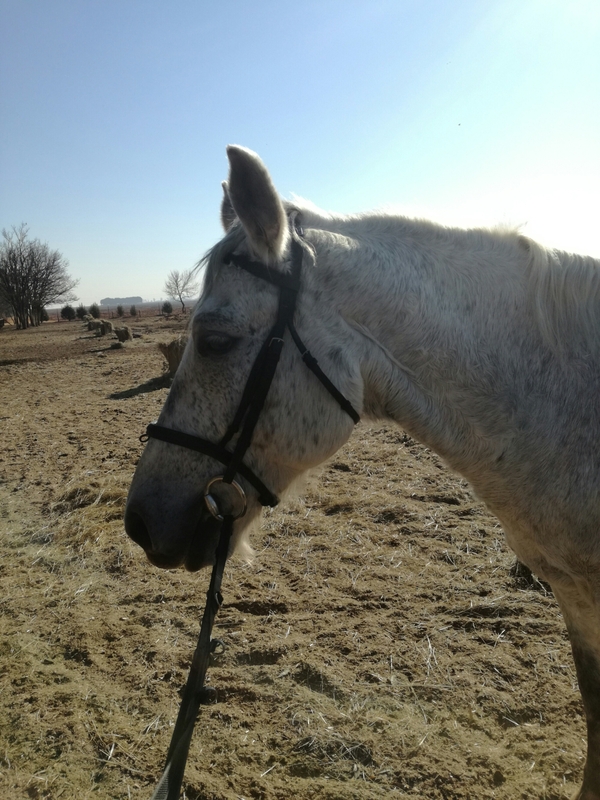 Riding has been either anxious or boring of late; I don’t want to push him with the flatwork, I can’t cope with the jumping, and he can’t cope with hacks. We lunge but that’s just exercise. We both really need a conversation; we need to spend quality time and not just be together, but talk and interact and learn things. So, because he really enjoys groundwork, we’re playing with liberty. I know – I rolled my eyes reading the websites, too. (Ignore bad behaviour? So what do you do if it charges/bites/kicks/rears/pushes you around?) But it’s what Magic needs. He never gets stroppy. He never gets domineering. He needs something where there’s no pressure and lots of affirmation and this seems like fun. So here goes nothing, I guess. I’m just gonna leave this right here because it makes me so happy seeing them regain their shine here. Pretty Ash has been doing so well with L. Sound for 15 minutes’ trotting for several weeks now, we’ve added in some canter. It’s rather more canter than L is used to but Ash takes care of her. She is such a classy, attractive pony – I kind of wish we’d had her when she was younger and sounder and ready to take on the world. I bought the dragon a nametag. Try not to laugh. Speaking of dragons, we have been dressaging. More to come later. I’m using the double on her most of the time now. 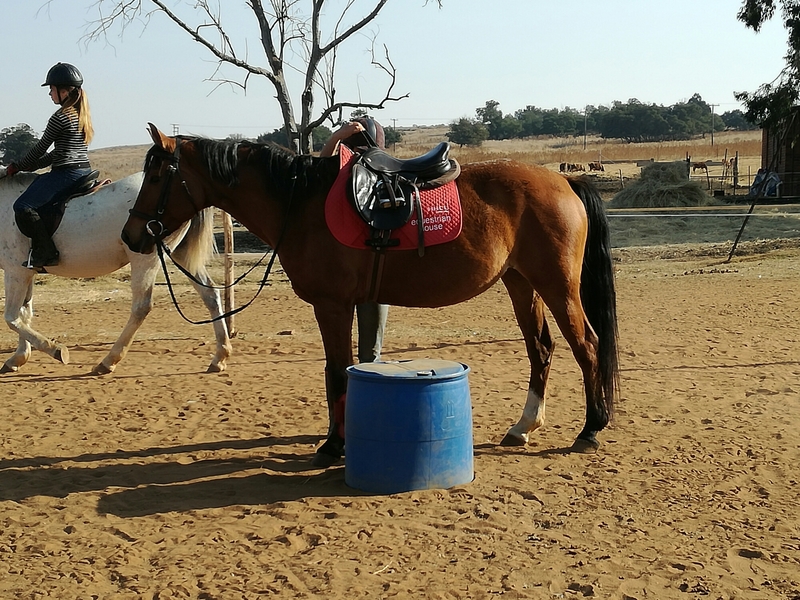 She does go better and yes, she should be able to do it in a snaffle, but the horse didn’t get a good foundation and right now we’re just muddling along trying to find what works for where we are now. Dressage coach S might come see us next month, then we can ask her opinion. Nugget is incredibly content living with Magic. 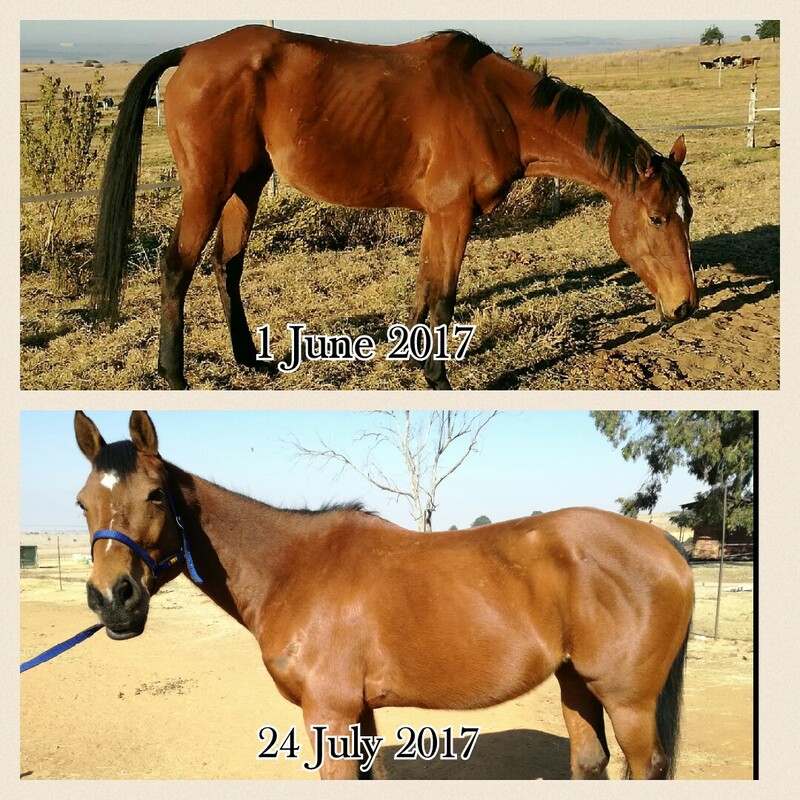 She’s in a better condition than ever before and even runs around the field playing with him – something I’ve never seen her do before. Unfortunately, after my week off and then pony camp, we’ve taken a bunch of steps back in handling. I haven’t gotten a halter back on her again. We’re making progress back there every day (I can rub her neck and shoulder now), so we’ll regain the lost ground quickly. I’m trying to make a point not to be upset about it, because there’s just no way I would have coped without the week off. And if I don’t cope there’s no yard and if there’s no yard there’s no safe haven for Nuggets. On the jumping front, this was our exercise of the week; canter pole, couple of bounces, one stride, vertical. I added V-poles to the vertical later on. 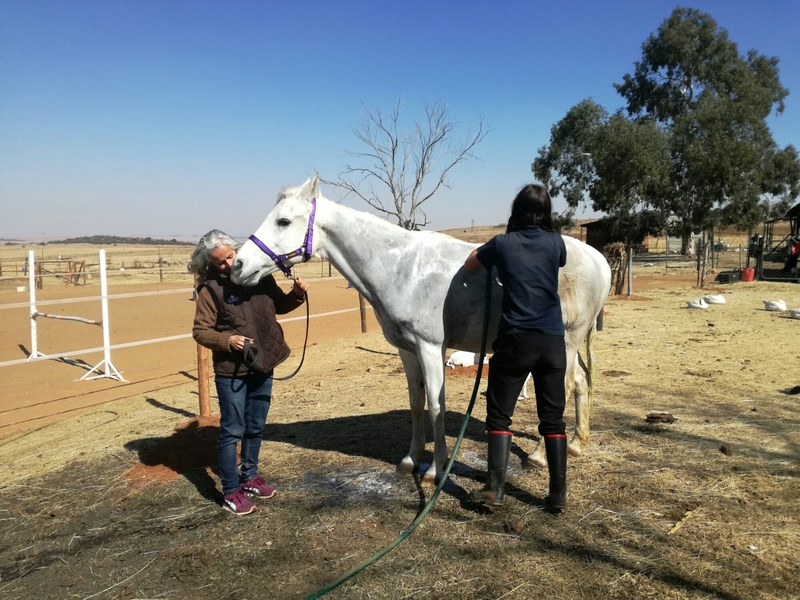 It was very challenging, especially for the kids, because they had to really ride the ponies up into their hands and get them to use themselves instead of just point and go. 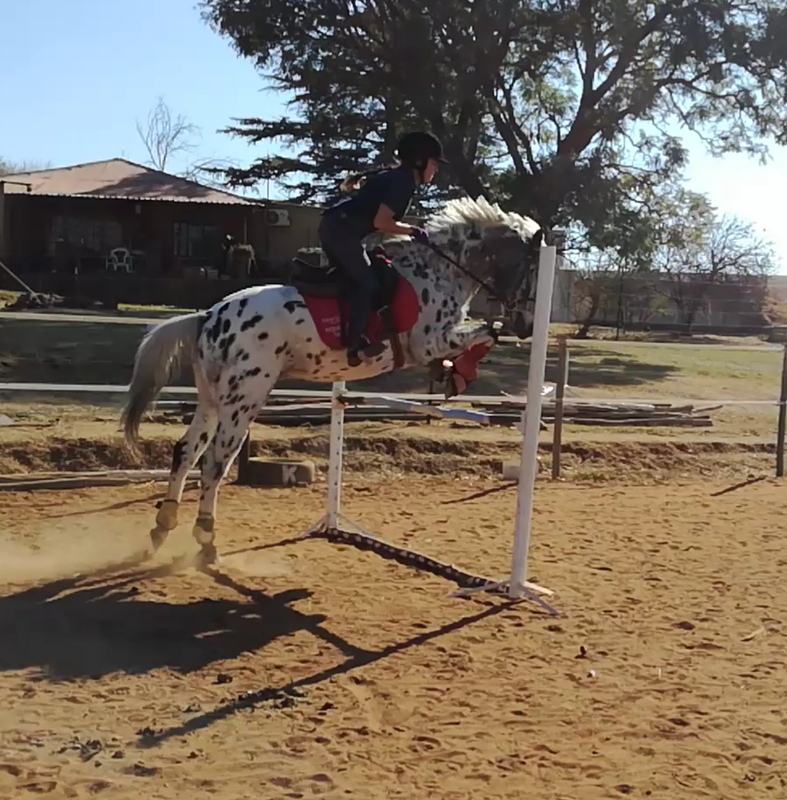 But it was confidence building for the horses and helped sharpen reflexes and round jumps nicely. I found it confidence building too – so much so that the last vertical ended up at about a metre. My first in years, and Jamaica’s first under me. He just loped right on over and didn’t take it seriously enough to give it much scope, so it’s comforting to know he can do it and with such quietness. He is such a blessing. If I had unlimited funds I would have bought him long ago. 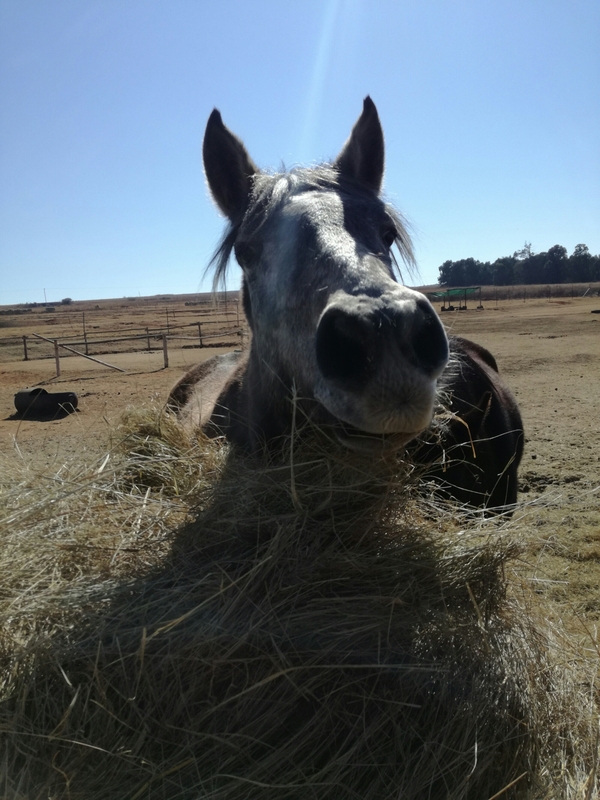 As it is, if I do pass Module 5, it’ll in large part be due to what God is doing for me with this funny-looking little horse. as did Destiny, Savanna (a simplified version), Thunder, and Lancelot. 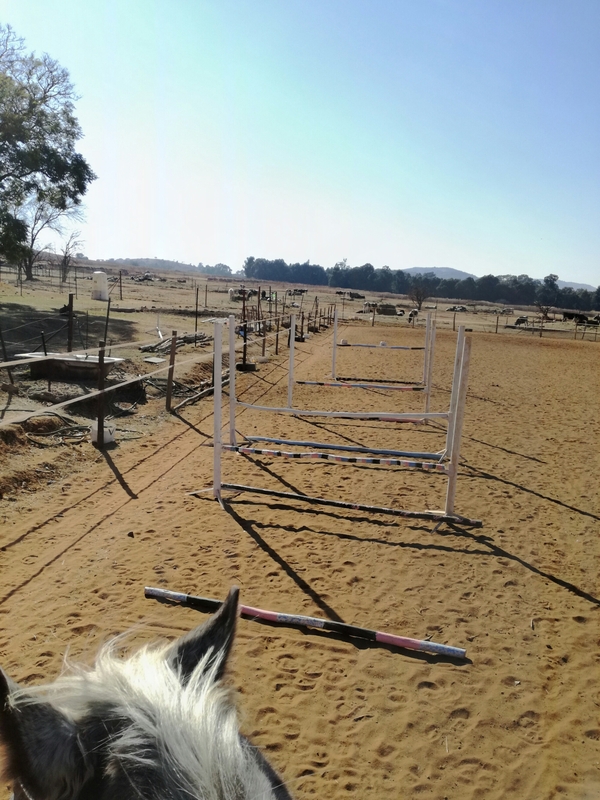 Lancey particularly impressed me because carefulness has been something we’ve long struggled with and he didn’t knock a single pole, except for rubbing the last vertical so that the V-poles fell off. He was kind of dorkward about it but he did the thing and I’m so so proud of the little chap. I also started playing with an automatic release. My crest release is really good when it’s good, but disappears as soon as I’m nervous. I feel like I have to keep my hands back to keep my weight back in case the horse stops. It isn’t true, but it’s how it feels. The automatic is harder so it makes me concentrate on my lower leg and hip so that I can pull it off, but psychologically it’s significantly easier to follow the mouth slightly rather than toss my hands up the neck. I kinda like the result but I’m not dead sure yet. And I’m throwing this in here too – G wasn’t able to exercise Pennie much last week, so I got to borrow her for a day and have some fun. Love this pony. She’s epic. Pictured: reason why I must learn a better release. Eagle is going much better. 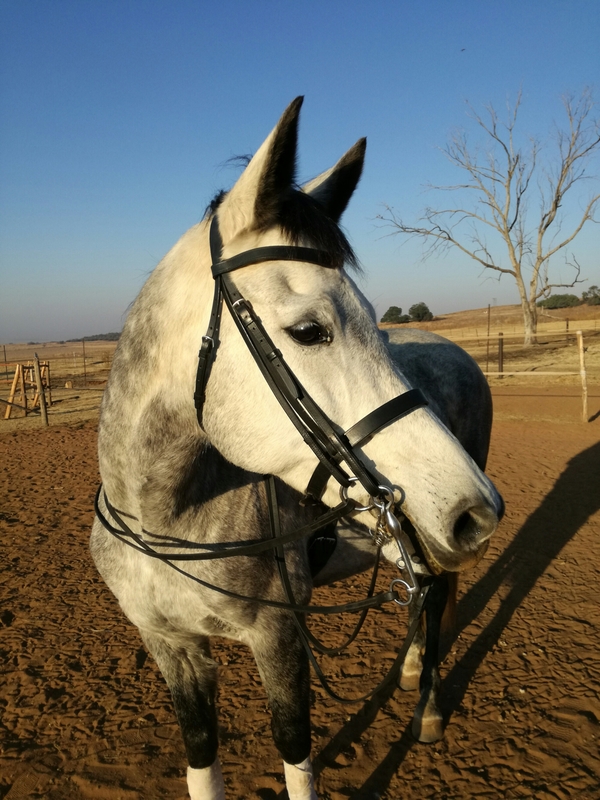 He can be tricky to train for his novice owners; he’s never naughty, but he is responsive and forward-thinking by nature, so when you’re a novice trotting along and you panic and grab with your legs he’s probably going to go faster. We spent a lot of time installing some very sharp brakes and a relaxed halt, and he’s doing great. They harvested the maize last week. The world suddenly looks bigger; and there’s not as much to spook at. I borrowed Dusty from the kids for a hack and remembered why I trust this little pony like nobody else. This is Troy, who is my current favourite schoolie from Winstead. He is large and round and lazy but also jumps anything if you get him to go fast enough, so he’s my type. 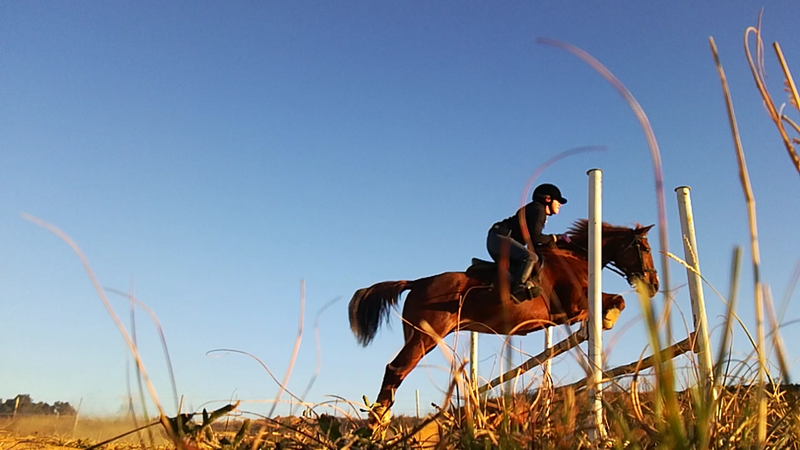 We were jumping over 80cm in fairly tricky exercises last lesson and he gives me a lot of courage. Thank you Troy (and coach K of course). 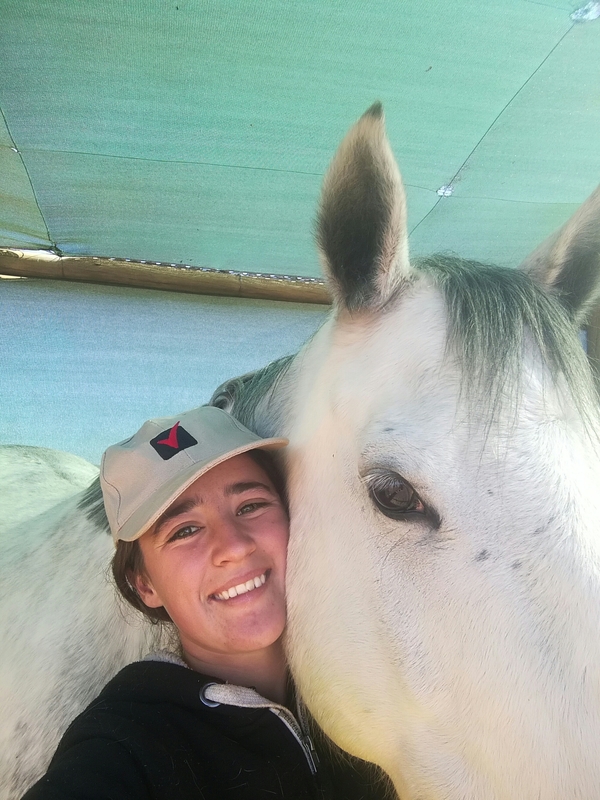 This cheeky adorable Faithy thing has been getting ideas above her station and picking fights with herd members, so now she has one kick on each hock. One more kick and I’ll move her out, but I suspect she’s doing something to provoke getting bullied. Bratty 2yo thinks she can rule the roost down there. We have been having more conversations about the horsebox. She doesn’t walk right in yet, but if you show her you have cookies she’ll go in. She’s still learning about the world and I’m still learning about her, but I love her so much. Also she will do anything for cookies. Destiny has his ups and downs. Our personality clash makes for a difficult relationship, but we have been making really good progress. He’s so good on hacks now, jumped the difficult gymnastic, and is learning to move laterally off my leg. Blizzard is trotting laps in the (amazing, new) ring now. Slanted poles are amazing, by the way – I haven’t had my knees smacked even once. 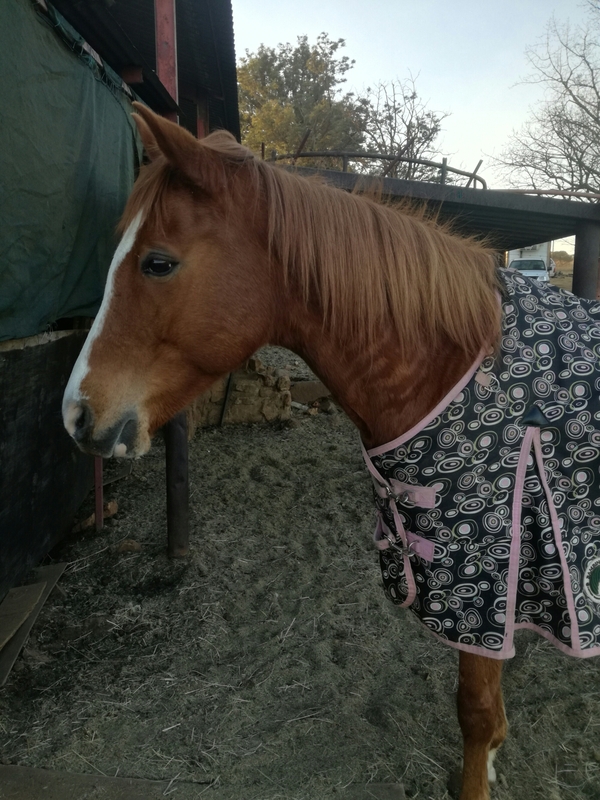 He was scared of me posting at first, but his reaction to being scared is to stop dead, so that’s quite OK for a novice horse. We have some confidence building to do in trot but it won’t be long before we canter. Lullaby has been a bit flat lately. 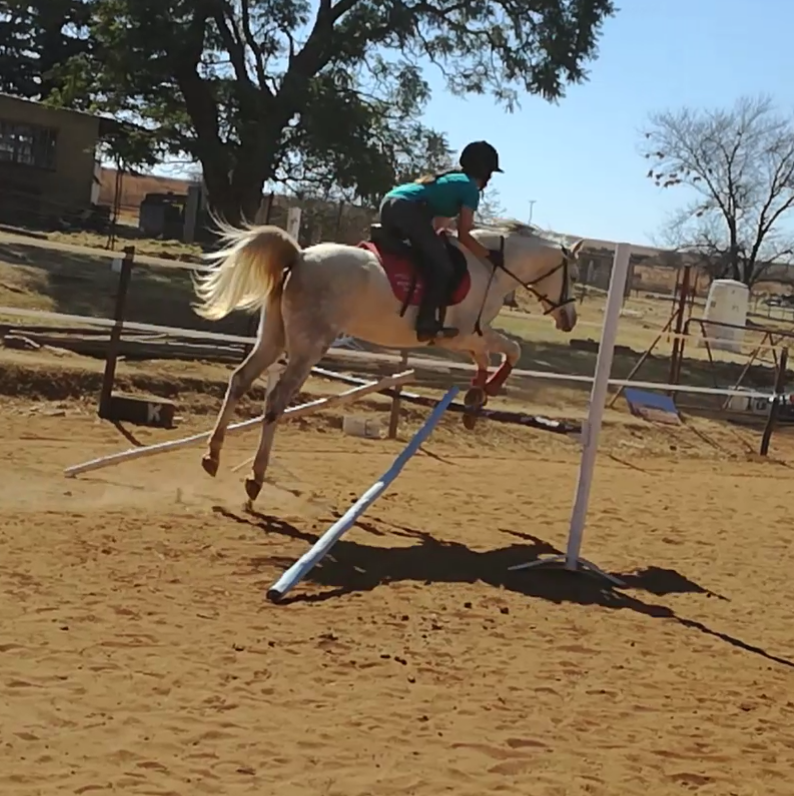 I’ve tried the usual tricks – decreased workload, time off, a fun jumping session with a big kid – to no avail. 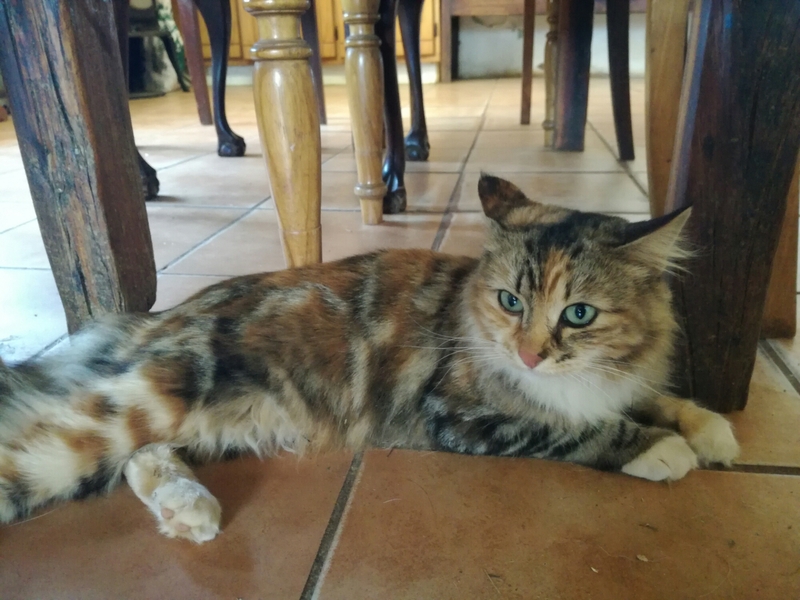 She doesn’t seem unsound or in any physical trouble beyond the usual stiffness that we’re controlling with joint supplements, but there’s just a lack of her usual sparkle. 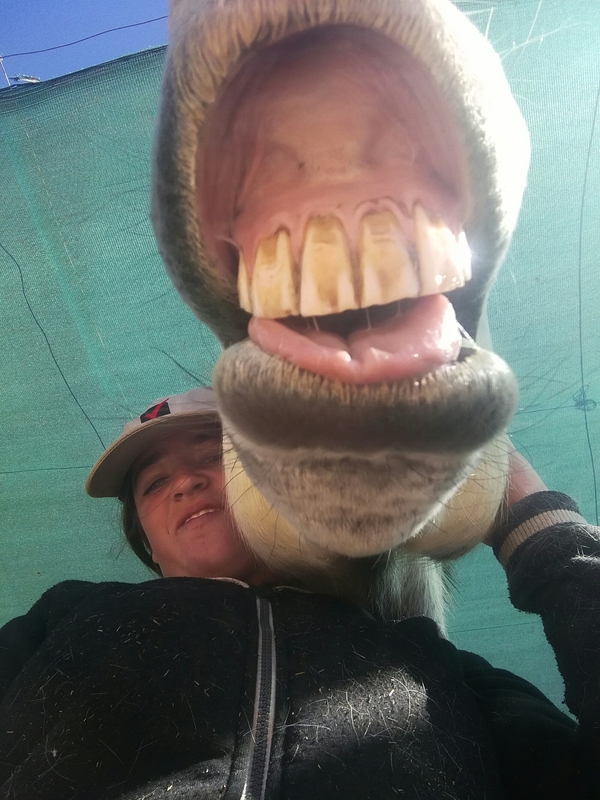 I really hope her age and many years in the riding school aren’t catching up to her. I need her – we need her. But I’m her advocate. So we’ll try hacks and different food and so on until my stalwart little colleague is herself again. She has served so well for so long at such a thankless task. My job is easy by comparison. It’s the least I can do to be as faithful as my good little ponies. I thought it was interesting what you said about doing liberty with Magic. I accidentally ended up doing lots of liberty. 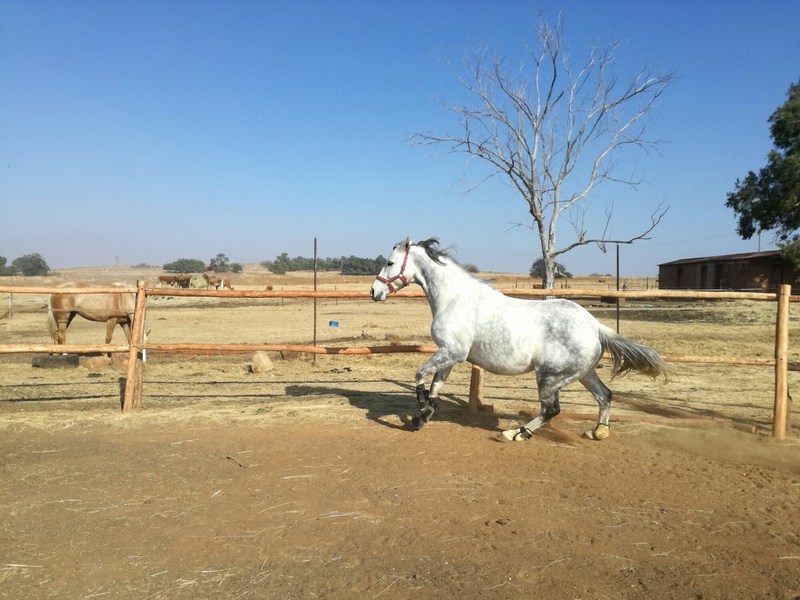 I wanted o teach him a couple of tricks and found this lady https://www.horsetricks101.com/2012/12/horse-tricks-academy-is-open/ It evolved far beyond anything I had ever imagined and now my youngster spends most of his time running lose while we work. 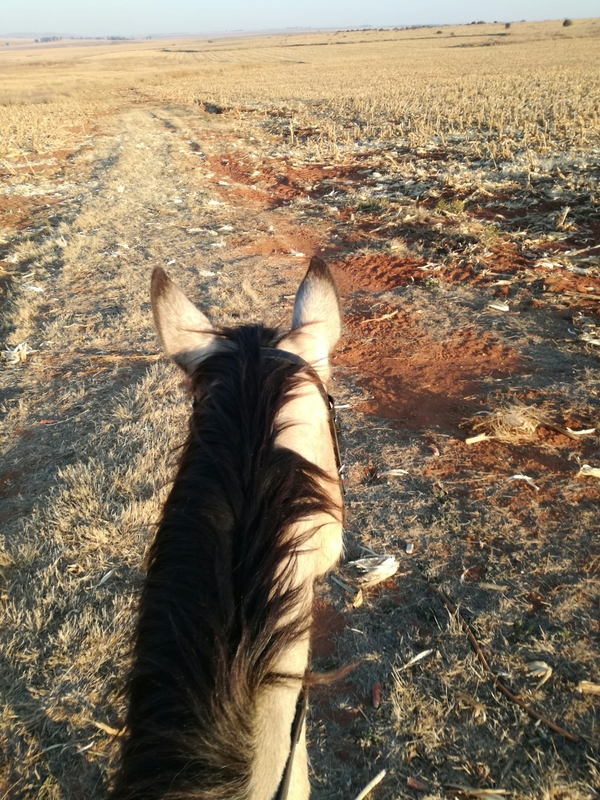 Out in the open, not like in arenas, he comes when called and we are nearly riding bridle-less. Don’t let the ignoring bad behavior part fool you, if you are doing positive reinforcement they search for ways to receive their reward and when properly reinforced the unwanted behaviors disappear in no time. Good luck!